These were the words of Nigel Harris, Tearfund’s new CEO, after visiting Self Help Groups (SHGs) in Ethiopia on his first overseas trip with Tearfund. What makes this declaration more striking is that Ethiopia is the developing country that Nigel knows best: he’s been there a dozen or so times before with 4 or 5 different agencies before joining Tearfund. The Self Help Groups (SHGs) work through local Churches and helps the poorest of the poor to help themselves out of poverty. One of its many strengths is that it is rooted in relationships. 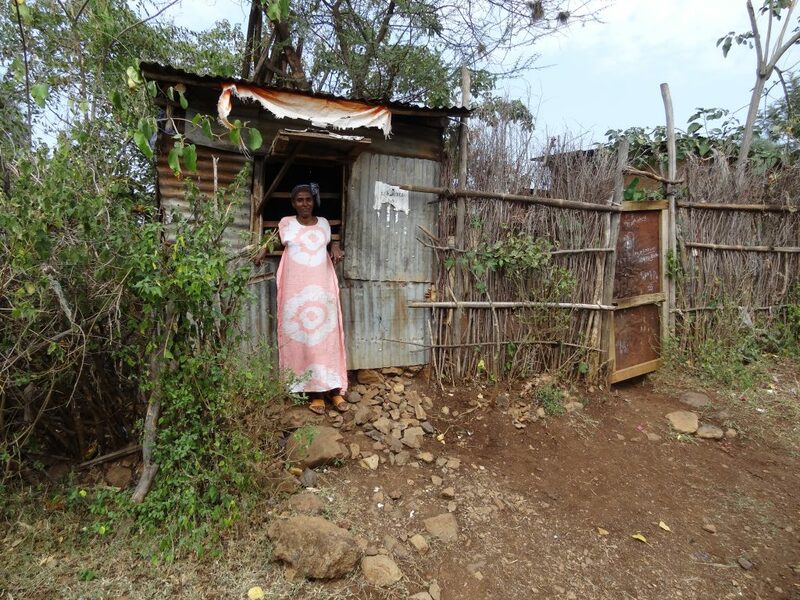 In Ethiopia, Tearfund have helped facilitate the creation of some 16,000 SHGs. That means more than 250,000 people directly impacted, with more than 1,000,000 (one million) family members helped on a journey out of poverty. You can hear more of Nigel Harris’ short interview about his trip to see the SHG work in Ethiopia here. 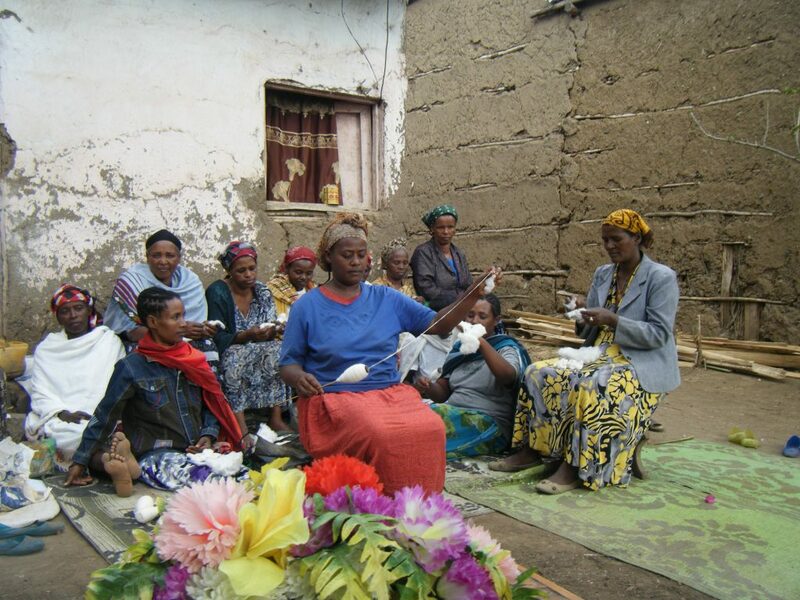 In 2002, Tearfund helped introduce the Self Help Group (SHG) approach to Ethiopia through a local partner organisation. The first five SHGs were started by 100 women. By 2013, the number of SHGs as part of Tearfund-funded programmes had increased to more than 12,000 across the country (and the number of groups is rapidly increasing all the time), impacting more than one million people – which equates to one in 80 people in the whole country. This growth happened primarily because local churches have embraced SHGs, taking on an inclusive approach, replicating the model using their own resources. As such, the cost of replication has been very low; in total, the programme cost an average of £50 per SHG member, or £10 per beneficiary. SHGs have had profound impacts on their members and demonstrate a good model for building resilience across multiple sectors (food security, livelihoods, DRR). Relationships are at the core of the model and are critical to the programme’s success; members speak consistently about increased confidence and skills, the ability to relate better to one another, and the sense of support that they feel from one another. At the same time, the benefits are also monetary. SHG members start to save small amounts each week and as their savings grow, they are able to start to give out loans. Initially, loans are typically taken to pay for school expenses and health costs. As the SHG matures, loans are used predominantly for income generation. As their income-generating activities grow, SHG members are able to increase their expenditure: evidence shows that school enrolment levels increase, use of private doctors and clinics increases, the amount spent on food (both quality and quantity) and clothing increases, and more families are able to buy their own houses. Simultaneously, the SHG members work together to learn about issues facing their community, and they take action. In this sense, the SHG acts as an agent for social change; women have become more empowered in their relationship with their husbands and the wider community, and also have begun to speak out on practices such as female genital cutting. Environmental issues have become more prominent as people take action to reverse degradation and clean up polluted areas, and women have become more engaged in political processes. The SHG model delivers both humanitarian and development gains. The initiative was conceived as and remains a development programme, and it is creating long-term transformational change. Findings from Ethiopia indicate that communities can cope better with droughts and other shocks as a result of their internal ‘safety nets’, even within the first few years of SHGs being set up. This means that relationships of trust are built up between SHG members, creating a support system which avoids reliance on outsiders – donors, NGOs or moneylenders – for support in times of crisis. This is ultimately a sign of a resilient community. A cost benefit analysis (CBA) of these SHGs was commissioned by Tearfund in 2013 and found that the model delivers very high returns, as much as £173 for every £1 spent, and is demonstrating transformational change. In fact, these are some of the highest returns in the development and risk reduction literature on CBA. Find out more about this amazing work.